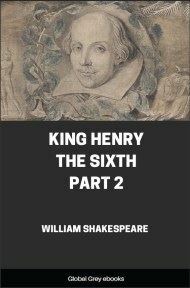 Henry VI, Part 2 (often written as 2 Henry VI) is a history play by William Shakespeare believed to have been written in 1591, and set during the lifetime of King Henry VI of England. Whereas 1 Henry VI deals primarily with the loss of England's French territories and the political machinations leading up to the Wars of the Roses, and 3 Henry VI deals with the horrors of that conflict, 2 Henry VI focuses on the King's inability to quell the bickering of his nobles, the death of his trusted adviser Humphrey, Duke of Gloucester, the rise of the Duke of York and the inevitability of armed conflict. As such, the play culminates with the opening battle of the War, the First Battle of St Albans.